People attempt to make their blogs successful everyday and while a few might eventually achieve their goal, most will end up in failure. What is the reason behind all of the failures? Well, there is no exact answer to that question because there are hundreds of reasons why their blogs might have failed, but we do know one thing for sure, all successful blogs have one thing in common. They all have a large readership. A lot of blog owners get side tracked with other aspects of their blog and they forget to focus as much time as possible on their current readers. The bottom line is, if your readers are unhappy, then you’re not going to have any success with the blog. Let’s go over ways to make sure your readers are happy and how to attract more. Communicate with your readers as much as possible! This cannot be stressed enough! If people can easily contact you, then they will feel much more connected and become a loyal reader. There are plenty of ways to interact with your audience, such a responding to comments, posting on social media sites, having a good website and making them come up with ideas they would like to see in your blog, and asking for feedback. You can always get creative and interact with them in ways they don’t expect. Another thing to remember is that the internet can be a mean place. Don’t let bad comments or reviews put you off of blogging, the best thing to do is respond in a way that makes you look like the better person and just continue to blog. Some people will criticize anything they can, so just because someone doesn’t agree with what you say, doesn’t mean you are wrong. At the same time, you always want to review constructive criticism to see if it could truly help your blog. Some people will give you honest opinions and these are the ones you should always thank and put some thought into what they say. After all, the blog is to attract more viewers like them, so if the idea makes your blog better, why not see how it works? It is understandable that you want to make as much money as possible, we all do, but make sure not to overdo it. If you own a business blog or are participating in an affiliate program, try and not to be too pushy when it comes to promoting the products or services. Your readers will start to just switch blogs if all they see is product promotions. Just keep providing high quality content, and when it is appropriate, promote the product. Don’t go out of your way to mention them. There are multiple different strategies for this, but the most common tactic used is to give your readers a little teaser about your next piece of content. If you give them a little taste, then they are going to want more and will come back for that post and after a while, your readers will have become loyal to you. If your blog is related to your business, you always have the option to let people know that on a certain date you will have some type of promotion that is only available on your blog. This strategy has works for multiple businesses and continues to be just as effective. People are always looking for more deals, so giving them special offers will have them returning to your blog in no time. There are so many ways to give your readers a reason to come back, you might just need to get a little creative. All audiences will act differently, so make sure the reason you give them is one they actually want. Overall, your number one priority should always be your readers. That is the secret to a successful blog and so many people fail to take the extra time that is required to simply communicate with their readers. Don’t get lost with all of the side work, that can usually wait because there is no point to doing that work if you have just lost all of your loyal readers. Pritam Nagrale is a blogger at Money Connexion where he provides blogging & make money tips. 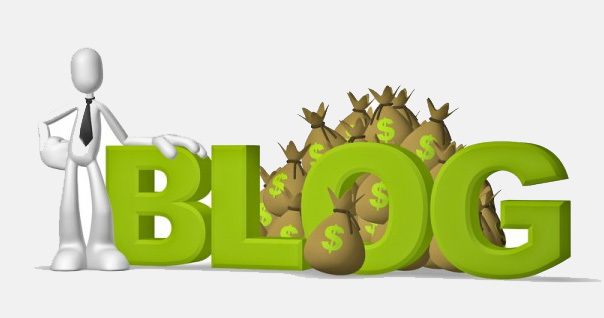 Nirmal, You have mentioned right points for earning from blogging. I really appreciate it. I have more than 20 years experience in teaching and training. I can say that these points are really helpful for new bloggers. Thanks for dropping your comment here and thank you very much for your appreciation. Keep Coming.